¡Hola! 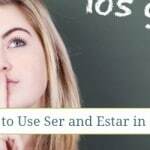 ¡Es tiempo para aprender sobre los animales en español! (Hello! 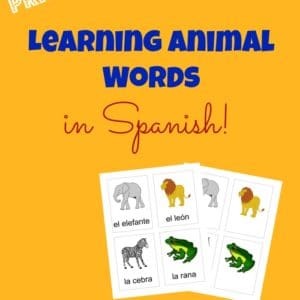 It’s time to learn about animals in Spanish!) If you can’t tell, I’m raring to use my Spanish vocabulary again and I’m thrilled to have the chance to teach it to my kids over the summer. One of their favorite topics is, of course, animals. 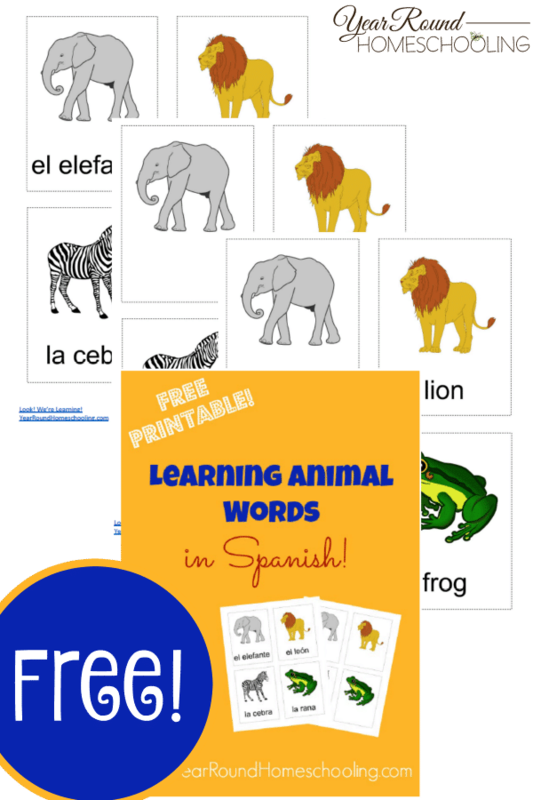 So, I put together a simple Spanish animal words printable pack of flashcards that I’m sharing with you all today! If you’re going to learn these words, you’ll need to know how to say them, right? Here’s a quick pronunciation guide for the words in the flashcard pack. The underlined syllable is the one that is stressed. The great thing about the Spanish alphabet is that once you learn how the letters sound, you’re halfway to pronouncing Spanish correctly. 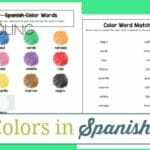 In Spanish words (unlike English), letters typically sound the same all the time. 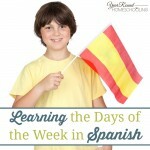 The pack includes three sets of flashcards: one with the words in Spanish, one with the words in English, and another with no words at all (for quizzes). 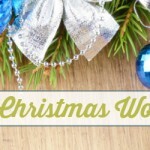 For even more Spanish learning fun, check out the Free Spanish Christmas Words pack here! 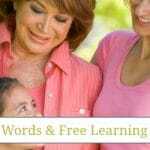 It’s fantastic to teach children a second language when they’re very small! Great post. Thanks so much for linking up with #TwinklyTuesday — please could you pop our badge on the end of your post, next time you link up? Thanks!